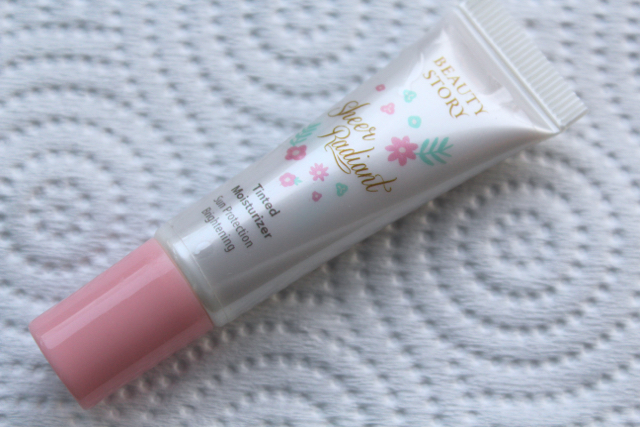 This lip balm is the reason that I have my faith back to tinted lip balm. I was so done having tinted lip balm as the one that I used to use was drying my lips, it smelled chemical-ish and the color won't stay long. 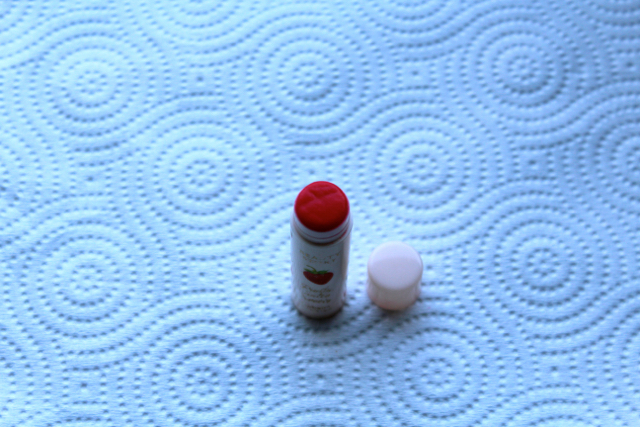 So when I received the hamper then found this lip balm, I immediately tried it on my lips. It glides well and doesn't taste weird. The next day, I needed to go out to run errands and without even think about it I grabbed this product and used it. 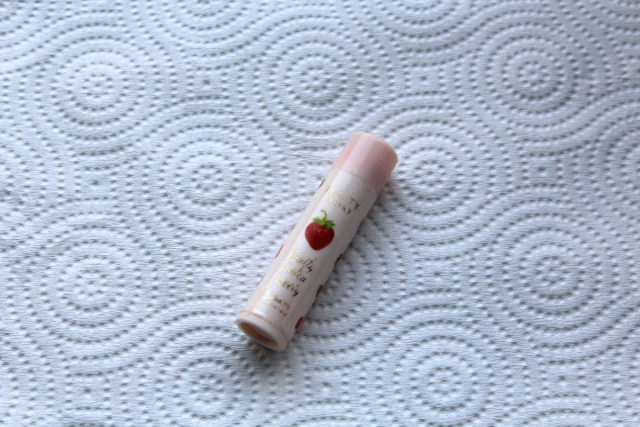 Surprisingly, at the end of the day, even though the color wasn't as visible as the first time I glided it, I can still see the red tint and this lovely lip balm don't dry my lips. Turns out, this baby is enriched with jojoba oil, shea butter, avocado oil and bees wax and made without parabens, sulphates, and phatalates. 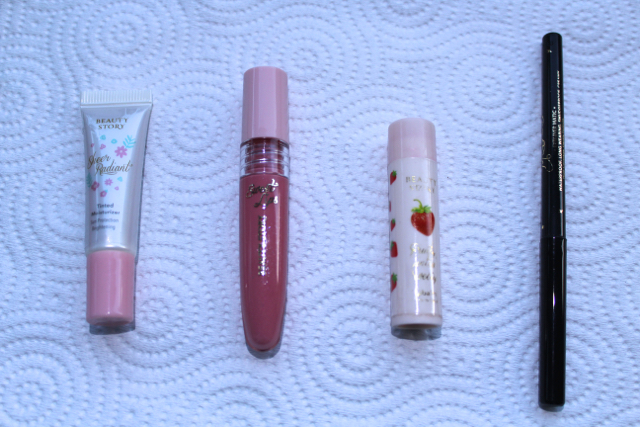 I'm so happy that I can find an easy to wear tinted lip balm again! First thought about this lip gloss was that I didn't think that I would ever like the consistency. 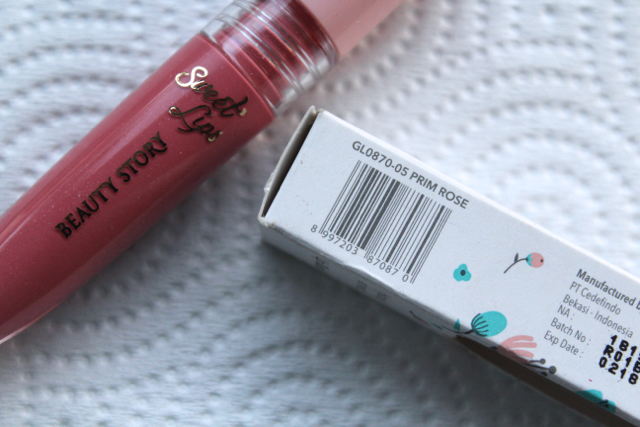 It's so thick and pigmented I was convinced that this gloss will be so sticky and weird. Guess what, ... I was wrong. 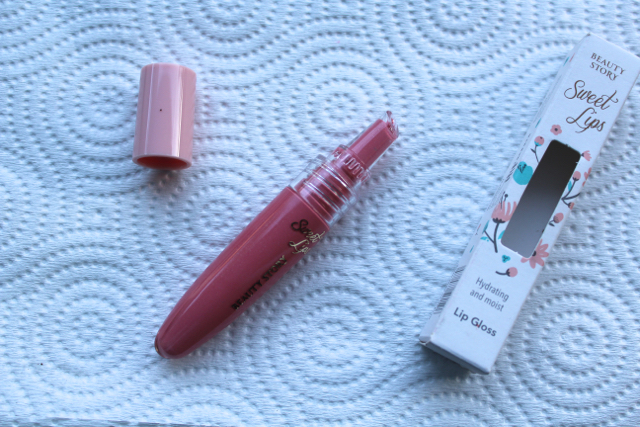 When I wear this gloss, it will feel weird at first, .. like sticky and heavy, but as the day goes the stickiness will disappear and leaves your lips hydrated and looking great. Well, it's not really a surprise because it's made out of natural moisturizers, shea butter and jojoba oil. It conditions lips with every use. This vibrant hues are made with hand-milled iron oxides and food-grade pigments also made without parabens, sulphates, and phatalates. The only thing that I'm not a big fan off is the glitters, as it was so hard to remove. As you probably know that I only use "crayon" liner to tight-line and define my water-line. 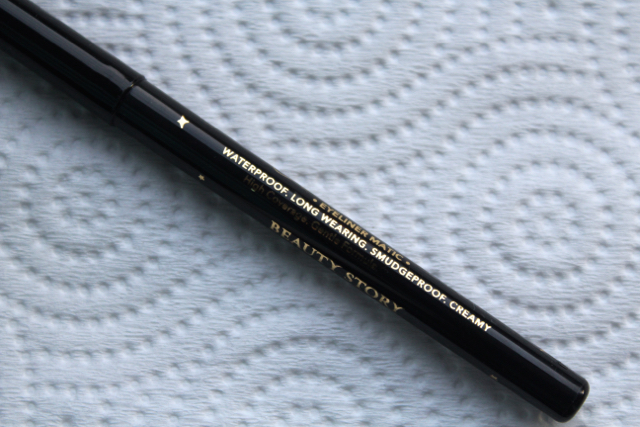 I was hesitant to try something new because I'm afraid that it won't be as opaque and creamy as my favourite liner. When I received the hamper and saw this product then tried in on, the result was surprisingly amazing. It's opaque, glide smoothly, long staying power, and doesn't transfer at all. 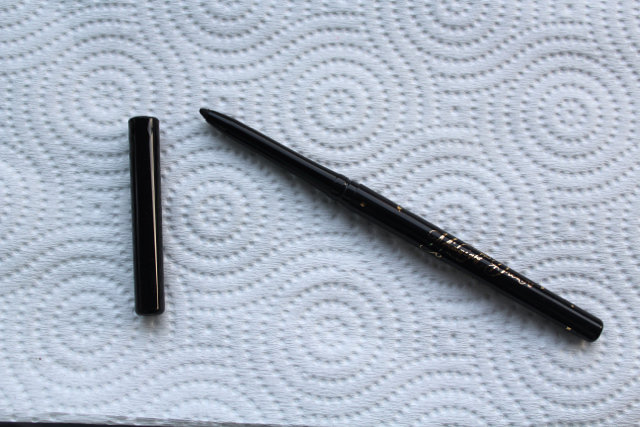 This eyeliner claims to be waterproof and smudge-proof, but all I can say that when you apply enough force, it will smudge (d'uh!!). Contains natural antioxidants, and is wax-based, free of mineral oil, free of paraffin, free of preservatives, free of animal derived ingredients and made without parabens, sulphates, and phatalates. I can't wait to incorporate this to my everyday makeup. Wears evenly in natural, semi-matte finish touch. No parabens, sulphates, and phatalates. I really want to thank Clozette for these babies! Since Beauty Story was formulated to fit Indonesian skin, I know that every product have a great quality. If you're on a budget and still want to look nice from a day to day basis, you can check out their website, check their nearest shop to you and may be try some products!